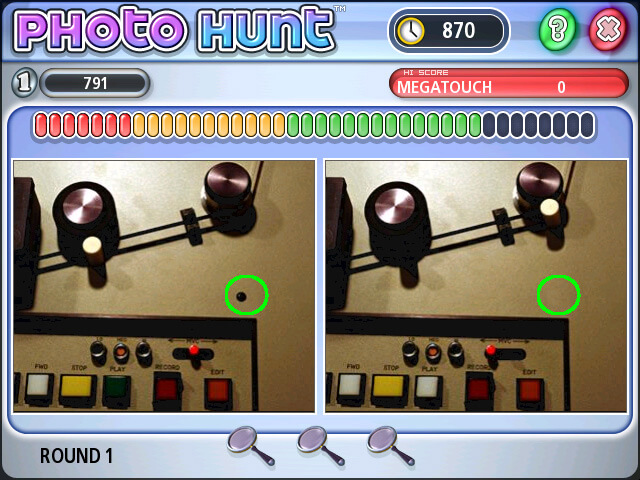 The goal of Photo Hunt is to locate and touch the 5 differences between 2 pictures that seem to be identical. Each wrong touch deducts time. Bonus points are scored based on time remaining.